Are they work shoes, or athletic shoes? At first glance, it’s kind of hard to tell. So difficult, in fact, that Reebok added the small and subtle “Alloy Toe” label to the uppers...like the low fuel light on your car dash board that serves as a reminder and pr ... (see full details) (see specifications) #RB4043. Are they work shoes, or athletic shoes? At first glance, it’s kind of hard to tell. So difficult, in fact, that Reebok added the small and subtle “Alloy Toe” label to the uppers...like the low fuel light on your car dash board that serves as a reminder and proof these are in fact made to work. These Reebok RB4043 SubLite Cushion Men’s Alloy Toe ESD Blue Lightweight Athletic Oxford Work Shoes are the industry-leading lightweight safety shoes, and, for bonus points, they have incredibly comfortable and look awesome, too. With a lightweight alloy safety toe, an athletic design for comfort, and breathable mesh and webbing uppers, these Reebok men's lightweight oxford shoes will keep your feet cool, comfortable, and safe with industrial strength protection for your work environment. While meeting or exceeding the ASTM F2413 standards for compression and impact protection just like the steel alternatives, the alloy toe caps in this safety toe footwear are much lighter without sacrificing safety. Dual resistors and no exposed metal on the uppers also serve to add the ESD (Electro-Static Dissipating) qualities to these Reebok men's shoes, which also meet the ASTM industry standards. These navy blue mesh and webbing low cut athletic style ESD shoes are as breathable as it gets. For the ultimate in air flow and moisture transfer, these webbing and mesh works with the internal moisture-wicking performance nylon mesh linings so that sweat, foot odor, and discomfort don’t stand a chance. (Add in a pair of performance moisture-controlling socks for the best experience ever...see our sock section before you leave!) With so much air flow to keep your feet cool, you’ll also experience less friction around your feet throughout the day. But feeling cool isn't the only kind of cool you’ll experience with these athletic oxford safety shoes - these navy blue uppers with the stylish white midsoles look cool, too. MemoryTech Massage foam insoles greet your feet when you put on these lightweight Sublite shoes. Customizing your cushion to the contours of your feet, these insoles refresh the cushion with each movement and the foam promotes air flow under your feet as well. Simply shifting your weight it you’re standing on an assembly line or the act of walking and moving will refresh the cushion. These supportive insoles are also removable, should your feet have more specific orthotic needs. (We have insoles, too!) Underneath these memory foam insoles are the Sublite EVA Cushion midsoles, which are the main support for your feet, and the reason these blue shoes can claim their high comfort and low weight title. These midsoles absorb the shock of impact as you walk and feature flex points along the entire design for the most flexibility possible, which is really great if you tend to kneel or crouch a lot on your job. The outsoles consist of the rubber slip-resistant heel and forefoot pads for maximum traction with minimum added weight. You’ll have all of the slip resistance you need without bulky and stiff rubber outsoles. Above all, comfort is great and durability is important, but safety is always first. That's why Reebok added the lightweight alloy toe caps. While meeting or exceeding the ASTM F2413 standards for compression and impact protection just like the steel alternatives, alloy toes are much lighter without sacrificing safety. Dual resistors and no exposed metal on the uppers also serve to add the ESD (Electro-Static Dissipating) qualities to these Reebok men's shoes, which also meet the ASTM industry standards. For the lightest weight and most flexible footwear around, you'll love these Reebok RB4043 SubLite Cushion Men’s Alloy Toe ESD Blue Lightweight Athletic Oxford Work Shoes from Working Person's Store. Place your order with us today! The shoes are very comfortable, and you can wear them all day without feeling any pain or discomfort of any sort. The product or shoe is something you can take to the gym and even run around, still the shoes gives you that push you need when your body wants to get tired, I do like the design of the mesh. Thank you for honoring your price match commitment. I am a returning customer for almost a decade and will continue to be because of your sincerity and product quality. Thank you. 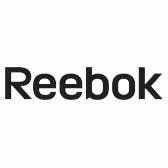 Reebok Shoes: Men's Alloy Toe ESD RB4043 Sublite Cushion Blue Athletic Shoes is being added to your cart.